Today I learned an important lesson. I couldn’t find my walking boots and it was pouring with rain. My canvas shoes wouldn’t do so I borrowed a pair of second hand walking boots from the warehouse. They looked pretty decent and I had no concerns as I headed out on distribution. Only five minutes later I realised how wrong I was. This seemingly good pair of boots were not the slightest bit water resistant. Within 20 minutes my feet were waterlogged and freezing, and three hours later when we returned to the warehouse I could have rung out my socks and filled a mug with water had I wanted to. The bit that shocked me was not that this is what many refugees face every day, or even that their day lasts much longer than the three hours I was outside. I was absolutely horrified when I realised there have been times when a refugee has asked me for shoes and I have carelessly replied that the ones they are wearing look pretty good. How quick are we to judge others when we think we know the facts? Even I who should know better after all this time? I am grateful for this reminder that it is so dangerous to make judgements. 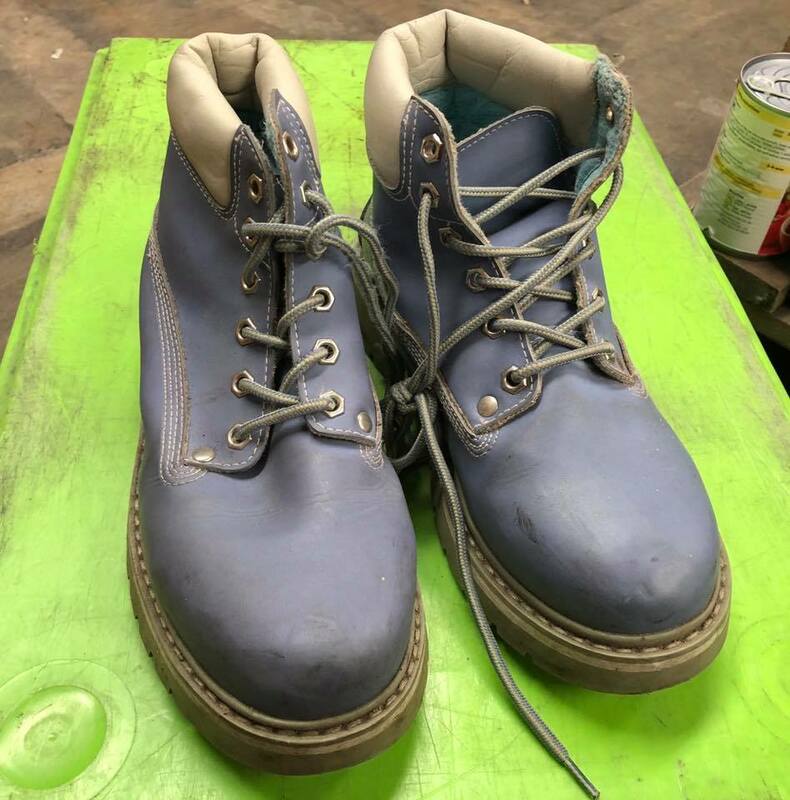 It does prove we’ve got one thing right though; we alway insist on buying waterproof boots for the refugees, despite the temptations of cheaper non waterproof brands. I am more sure than ever that warm dry feet is a total necessity for quality of life. If you can donate just £21 now you can give this life changing gift to someone today.